Learning how to seal a tent, and doing it regularly, can save you time and heartache. In this article we'll discuss how to properly seal your tent and make it water and weatherproof. You can apply these same techniques and ideas to all of your gear. I hope that you find this article informative and helpful. When you've finished, please Pin it at Pinterest so you can find it later and help others find it, too. Being Wet & Cold When You're Away From Home Is No Fun. Spend A Little Time To Seal Your Tent & Treat Your Gear To Ensure You Have A Great Time. There's also some practical tips you can follow to keep yourself dry when you're camping, such as where and how to pitch your tent. In the photo above you can see how I pitched my tent using a small ridge as a wind block, and because it was a cold, rainy time of year I pitched the tent on a slight incline so the rain would drain away from my tent (both to a side and down from the bottom). After every use, when you return home, make sure that you clean off any dirt or mud from the tent, especially on the bottom side where mud and gunk can accumulate and result in rotting. 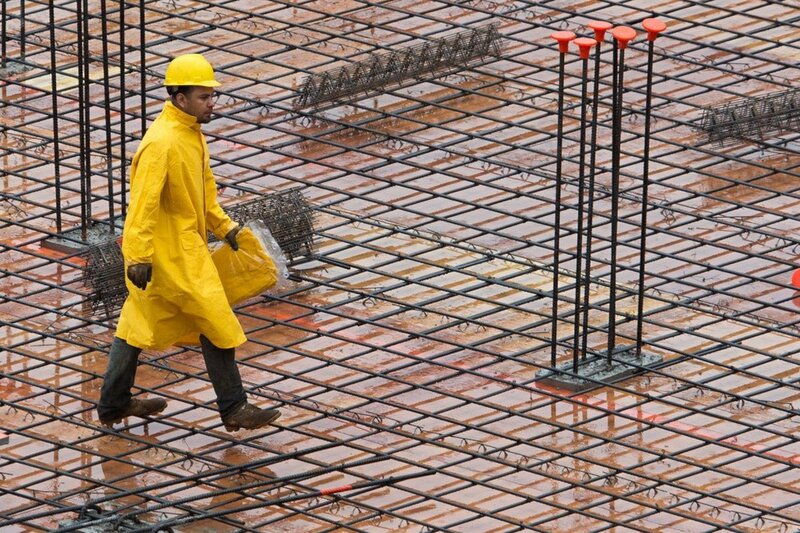 Doing so prolongs the seam sealant and waterproofing that you've applied. If I've learned one thing in all my years of camping, it's that you do not want to store away a tent that is caked with mud and dirt. Equally important is that you NEVER store a tent all rolled up before it is COMPLETELY dry. Mold and mildew will result from that kind of poor treatment. If you do happen to get mold or mildew on your tent, you MUST use a product to stop the growth.There are several products on the market that will do the job, but one that I know works well is called McNett MiraZyme (see product description below). Follow the directions on the product to kill the mold or mildew, and then apply your sealant as usual. Relating to this issue is the storage of your tent, some people think that if they seal the tent in an airtight bag it will keep moisture and critters out, but the reality is that it creates a perfect environment for mold and mildew. Instead, roll (or fold) it up according to the manufacturers instructions and then pack in the provided bag or box (or use a roomy gear bag), and store it in a cool, dry place that isn't susceptible to moisture or excessive heat. A closet or garage space usually works fine, depending on your area and climate. Now on to the cleaning part. Before you attempt to seal your tent seams or the fly, make sure to clean it off to remove any dirt, dust or debris that might hinder the ability of the sealant to adhere properly and be absorbed. Never use detergents; all manufacturers advise against using any detergents. I use warm water and a soft cloth only, and if there is heavy soiling then I use a little more elbow grease with my rag and water. McNett makes a product that works well to clean heavily soiled gear, and its relatively cheap. It's called McNett ReviveX Synthetic Fabric Cleaner (see description at the bottom). Start by setting up your tent and staking it out, leaving it a little more slack than you normally would (but not too much). 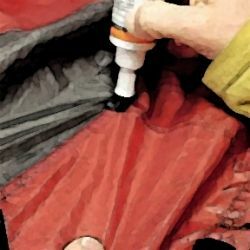 This will help when you're applying the sealant along the bottom seam later (by allowing you to grab onto the tent wall and hold it with one hand and apply sealant with the other). 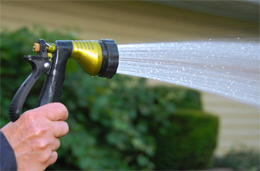 Using a spray hose and a clean cloth, rinse off the tent (without the fly on) and avoid spraying inside the tent if possible. 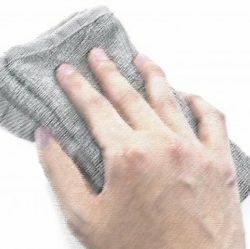 Use your rag to wipe (clean) as you're spraying to remove any grime. Let the tent dry completely. Depending on the size of your tent, and fly, you may have to spread the fly out on the ground and fold it in half, and then wash off one half at a time, then giving the entire fly one last rinse as you hang it up (or stretch it out) to dry. I have a large deck so it's relatively easy for me to tie mine open to air dry in the sun. Note: When using Nikwax Tent and Gear Solar Proof there's no need to worry about drying the tent off before applying (see video below). When sealing the seams of the tent, however, it must be completely dry. Therefore I wash my tent, then apply the Nikwax, let it dry for a day and then seal the seams. Please share your opinion with the rest of us. Do you follow manufacturers guidelines on maintaining your gear, are you fanatical about cleaning and treating your gear, or are you the type to use it for a few years and then pitch it when it starts to fail? Vote and then leave a comment. Do you seal your tent every year? No, but I plan to start. No, it's not necessary every year, according to most manufacturers. Yes, I do it religiously! Call me a fanatic, but I trust my gear. Yes, but usually it's more like every 2 years. Unless your tent came with one, you probably don't have a footprint for your tent. A footprint is a piece of material that lays directly onto the ground, and onto which you then set up your tent. It keeps you from setting up your tent directly on the ground. You can buy footprints specifically for your tent, or sized for most tents, but a cheap alternative is to just go to Wal-Mart, your local discount store, or Amazon, and buy a cheap tarp. Then cut out a section from the tarp to match the bottom of your tent. I simply stow it away with my tent when its packed. Having a footprint like this under your tent will prolong the life of it and further help prevent water from getting inside the tent. If there are rocks or even gravel on the ground, and you step on your tent floor, those small edges can perforate the floor and allow water to leak in (even sticks and twigs can be a problem). On every tent I own, regardless of the cost of the tent (even on a brand new one), I use seam sealer on all seams and spray the fly and tent body with a water repellant. 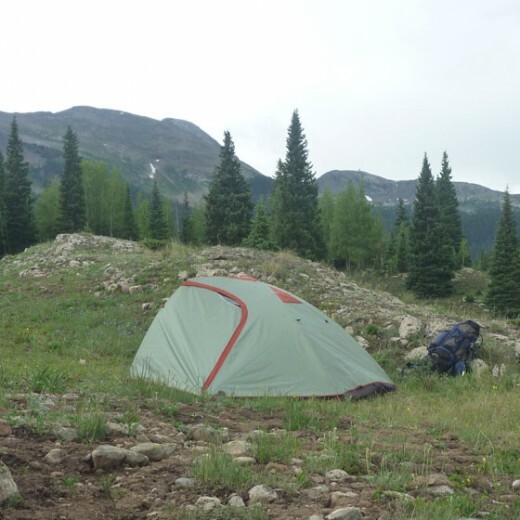 I've had a leaky tent in the frigid Rocky Mountains where we, and our gear, got soaked, and I'll never let it happen again. Seam sealer is cheap, and so is a water repellant. I can seal and treat a large 8 person tent, for example, in just a few hours... it's time well spent. The more often you do it the quicker you'll get. Below is a link to the products I use for sealing my tents. 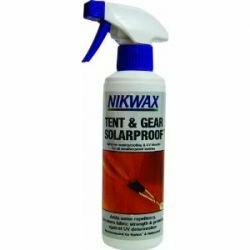 Nikwax Tent and Gear Solar Proof - Waterproof and bio-degradable, this gives awesome UV protection for your gear. As you know the sun can break down almost any material and is especially damaging to water proof coatings, which is why so many people experience leaky tents. I also spray my backpacks, rain jackets and other gear... it's an awesome water proofing spray. McNett Seam Sure Sealer - I like the way this product applies (the consistency of it), but I've also used the Coleman Seam Sealer with good results. Just be sure to brush the sealer into the threads and holes, as well as the crevices of the seams. I use a small hobby-type brush to apply mine; the small brush on the head of this product doesn't work for me. I also use a small cup and pour a little into it while I'm sealing, rather than keeping the bottle open... the sealer will dry out or at least get really thick and messy if you don't. It's important to remember that you should do more than just seal a tent at the seams, you should seal both the seam AND the body of the tent and tent fly. While most leaks occur in the seams of a tent, and it's therefore the most important step, it's also true that the walls of a tent and the rain fly are typically a treated polyester material, and when that water proofing breaks down it can be prone to leakage. 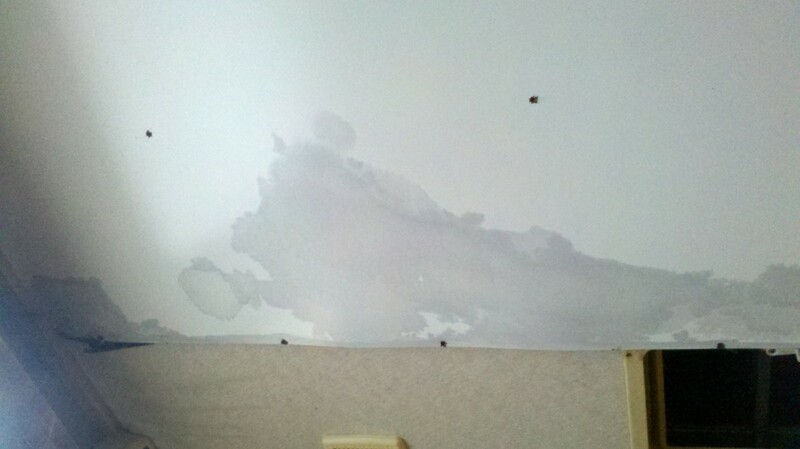 If you've ever leaned against the inside wall of a tent while its raining outside, and then saw water leaking in where you touched, then you know what it looks like when a tent's walls are not adequately sealed. apply a thin membrane of fabric (tape) over the seams that were sewn together, and then using heat and/or glue they press the tape on. I've seen plenty of "taped" seams leak, either due to normal wear or faulty application. Whatever the case, I seal the seams on my tents (new or used), as do most campers. When you're sealing your tent you'll apply the sealant directly over the taped seams. 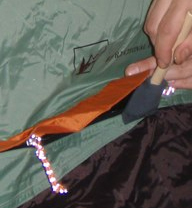 I also apply sealant to the outside of the tent, where two pieces of material join together and create a seam. Using a brush I simply apply the sealer along the seam across the entire tent... covering every single seam and stitched thread. Some sites will tell you there is no need at all to seal a tent that has pre-taped seams from the factory... I have personally had them leak, so take my advice or not. Other sites will say to only seal the seams that are exposed... again, for the few extra minutes and a smidgeon of sealant, why not seal the entire tent? Finally, some will say to seal only the taped side of the tent (usually inside), and maybe I'm a nut, but having lived through freezing temps in a leaking tent, I take the added steps and seal both sides of the seams and make sure to seal everywhere there are sewing threads. Below are two great videos which show in detail how to apply the products which I use and recommend. The steps are really simple and the results are awesome. I have never had a single leak in a tent that I've sealed... ever. This is a good video that shows you how and why to use a water proofing treatment like the Nikwax that I use and recommend. I use and prefer NikWax for waterproofing my tent and gear, but when it comes to the tent seams specifically, I use McNett's Seam Sealer because I like the way it applies, dries and protects. In all fairness I have used Coleman and other brands of seam sealer in the past, all with good results, so you may opt to use another brand. 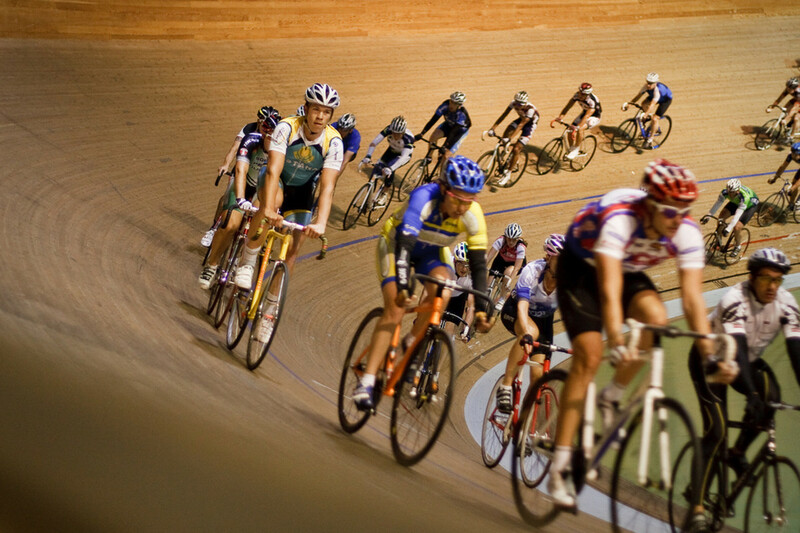 As long as you are sealing the seams, period, you're ahead of the game. Below are a few of the products I've used and that I recommend. The first one is important for tent and gear maintenance, a product to remove mold and mildew, and also odors, from your gear. The next two are cleaning products you can use if you need more than soap and water. Remember, never use a detergent on your outdoor fabrics, and certainly not on any waterproof materials. Then there's a great gear bag that I've incorporated into my camping kit. It stores our large tents (one per tent) and also miscellaneous camp items, and is a much better gear bag than the one that comes from the manufacturers. Lastly there are some great tent stakes which are much better than the one's that come with your tent, in most cases. Especially if your tent comes with plastic stakes... pitch them and use these. 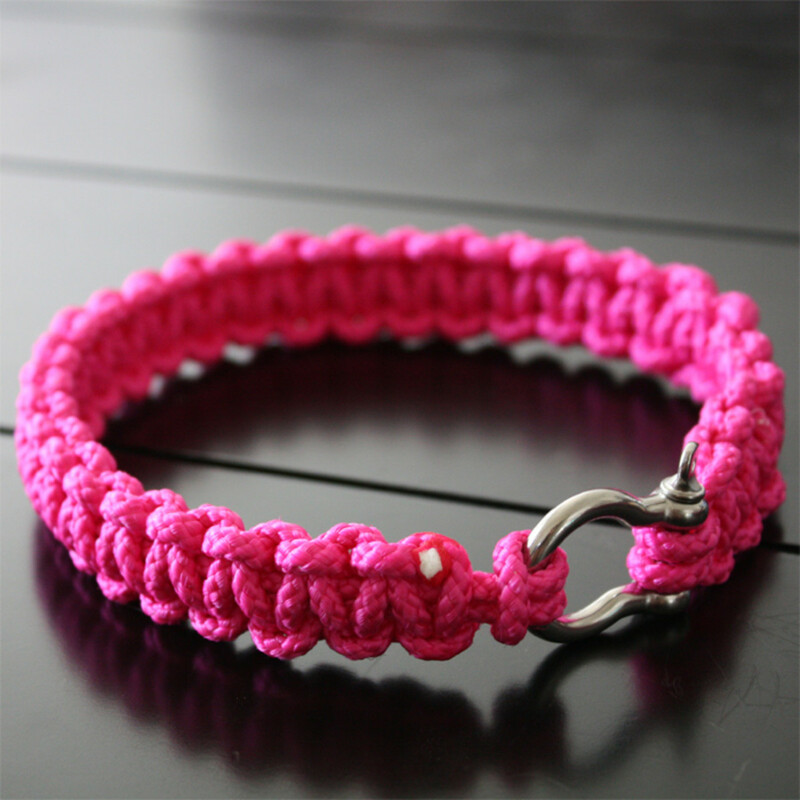 They're rock solid, affordable and have great reflective tips that help prevent nighttime stubs! Note: On Amazon product links the button reads BUY... however, when you click it you'll simply be taken to the product page at Amazon.com where you can read more about the item and also read reviews from other users. There is no obligation to buy... I have no idea why the link reads Buy rather than Get More Info, Read More About It, or something similar. I'm affiliated with Amazon, but it seems the BUY button may prevent some people from reading more about a product if they aren't aware of this. Nikwax Tech Wash is my go to wash for outdoor gear, though McNett's and others make fine products for this, too (like the next product below). - This is a non-detergent soap (cleanser) which can be used regularly. - Allows you to clean clothing and equipment without damaging the Durable Water Repellent (DWR) coatings. 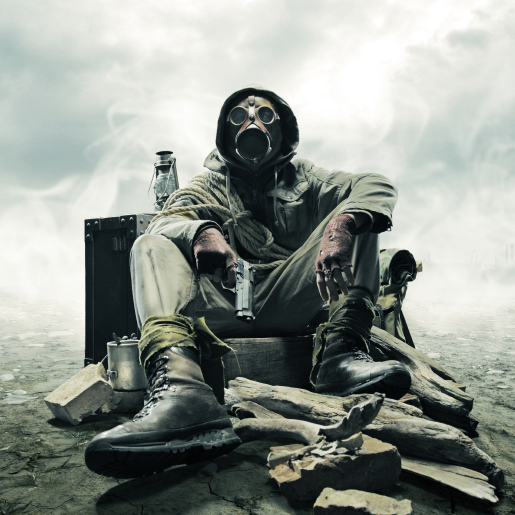 Remember: NEVER use detergents on your outdoor gear. McNett ReviveX Synthetic Fabric Cleaner is also a great and highly rated fabric cleanser that is safe for all outdoor gear. The UTG Ranger Field Bag is tough, period! It's roomy and a great alternative to the cheap, flimsy bags that most manufacturers ship out with new tents. It's also roomy, as mentioned, which means you won't be struggling to get your tent stowed back into the bag when you're ready to head home, and it holds ALL of your tent gear. It's cool looking with the digital pattern, sure, but it's the utility of the UTG bag that sets it apart. The padded top helps protect gear that is breakable, like lanterns, flashlights, etc..., and the ergonomic padded straps allows you to carry it fully loaded with no problems. 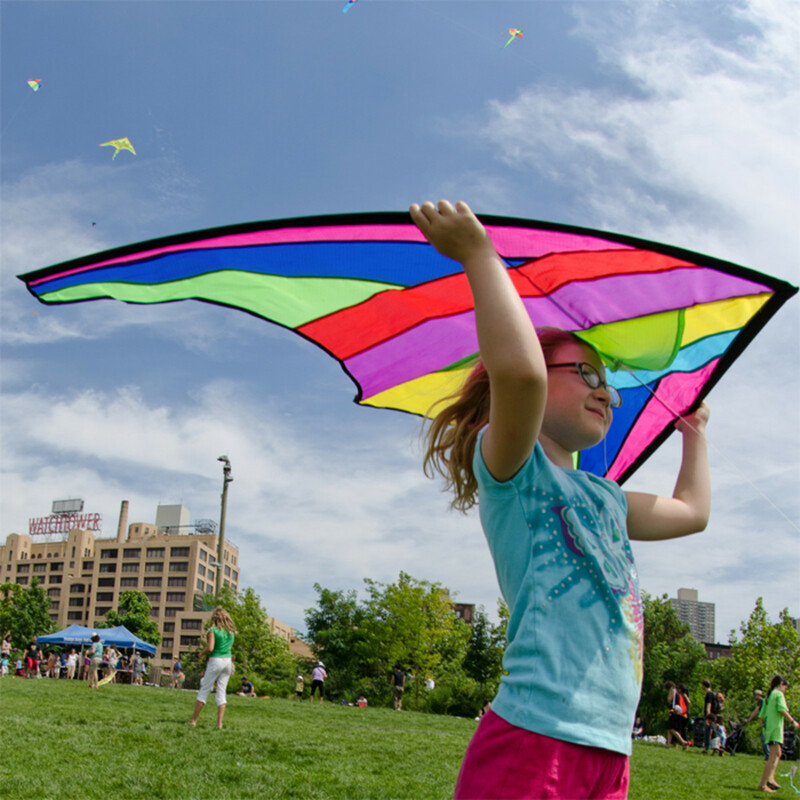 I write a lot about the outdoors, things such as camping, hiking and even kiting. Have a look. Learning how to make a paper airplane has to be the most memorable craft a child learns. In this article you're going to learn to make basic and advanced paper airplanes, and have fun doing it. 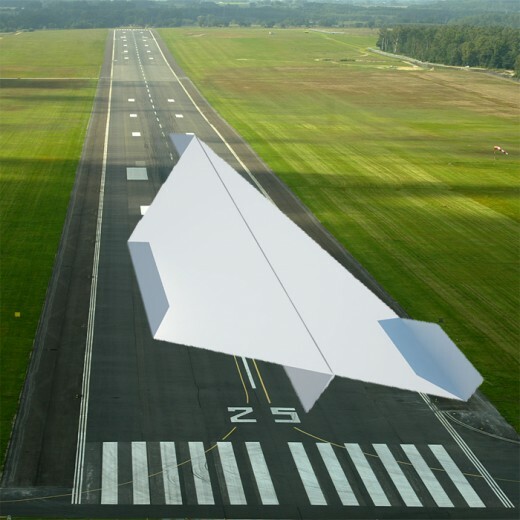 There's so much more to your basic, everyday paper plane. 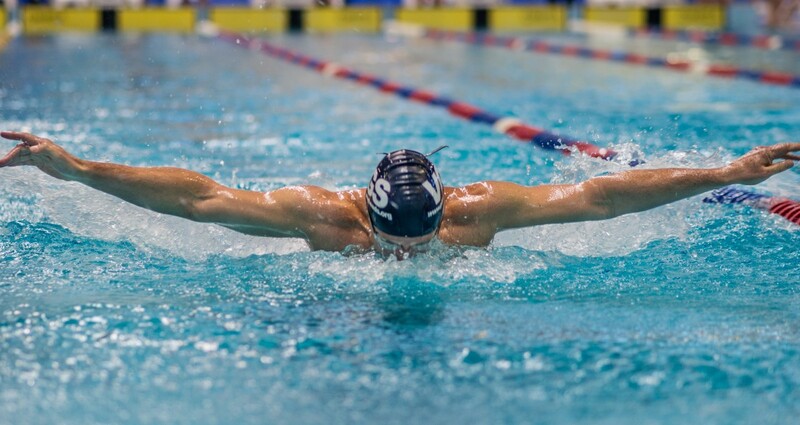 Find out the ins and outs of this fun hobby, and maybe some thing you didn't know about the history of these and its relationship to flight. I'm sure I've left some manufacturers out, but feel free to drop me a note if a tent brand you use isn't listed. 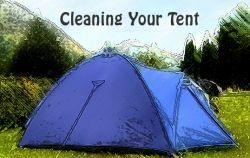 While I've provided basic instructions for cleaning and sealing the seams of your tent, you can and should visit your manufacturer's website for any specific care instructions.